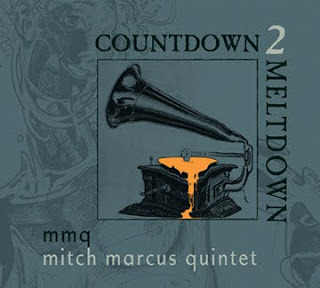 Jazz Station - Arnaldo DeSouteiro's Blog (Jazz, Bossa & Beyond): CD of the Week - "Mitch Marcus Quintet: Countdown 2 Meltdown"
CD of the Week - "Mitch Marcus Quintet: Countdown 2 Meltdown"
The hippest progressive jazz act you can find on Earth! During its ten-year San Francisco residency, the Mitch Marcus Quintet developed an edgy, innovative sound that attracted crowds as well as critical raves. The San Francisco Chronicle called the quintet "among the most provocative of Bay Area ensembles," and in 2007 the readers of SF Weekly voted them the city's Best Jazz Band. 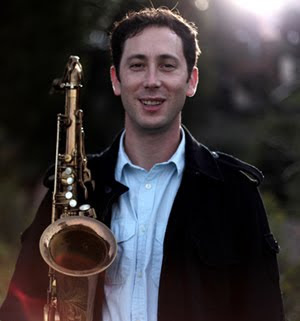 By the time tenor saxophonist/composer Marcus moved back to his native New York in the summer of 2009, the band had already recorded their third album, "Countdown 2 Meltdown," which will be released by the eclectic San Francisco label Porto Franco Records on February 16. "What really shines on 'Countdown 2 Meltdown' is the collaboration," says Marcus. His longtime front-line partner, alto saxophonist Sylvain Carton, contributed four of the tunes on the new CD, guitarist Mike Abraham wrote two, and Marcus the remaining five. "We've developed into a real band, writing and rehearsing as a team. It's inspiring when everybody brings in material and you shape it together." The quintet is rounded out by bassist George Ban-Weiss and New York-based drummer Tomas Fujiwara. Stephen Barncard produced and engineered the new CD. Special guests on Countdown are trumpeter Darren Johnston, featured on the melodic ballad "A's Lament," and vocal wizard Lorin Benedict, who slaloms his way through "HH," a tribute to trumpeter Henry Hung (member of another Marcus ensemble, MMQ+13). Other highlights include "Jimmy's Delight," an odd-metered, groove-based tune composed by Carton; Abraham's "Albatross," written at and for the eponymous Berkeley pub; and "SS Clagett," dedicated to Mitch's wife Sarah and originally recorded on the group's 2002 debut. The rave-up CD title track was inspired by Marcus's infant son Luke, who at the time the piece was written "was never far from a countdown to meltdown!" 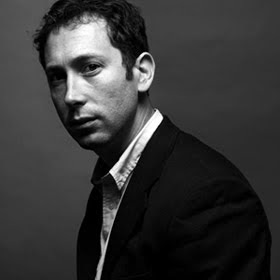 Mitch Marcus was born in Queens, NY on July 3, 1975 and grew up on Long Island. He started out on classical piano at age 5, then studied clarinet and saxophone, playing sax in his high school jazz band and, on the side, keyboards in rock bands. After meeting with renowned jazz educator David Baker, Marcus chose to attend Indiana University. There he met Sylvain Carton and joined the young altoist's newly-formed group, the Japonize Elephants. Following their graduation in 1998, Marcus and Carton moved to the San Francisco Bay Area and launched the first version of the Mitch Marcus Quintet (mmq). Their recording debut came in 2002 with "Entropious," which SF Weekly called "smart, tasteful, hard-hitting and eminently listenable." The quintet's sophomore effort was "The Special" (2007), "a searing document of progressive jazz" (SF Weekly). Marcus has continued to grow musically through his wide range of projects. He began reviving his keyboard playing with the electric-funk Mood Food; with Adam Theis's Shotgun Wedding Quintet; and with folk-pop icon Donovan, in whose touring band Marcus is a regular. In addition, Marcus has worked with the Afro-beat group Aphrodesia; is a long-standing member of bassist Matt Small's Chamber Ensemble (which has appeared at Carnegie Hall and at Lincoln Center); and has composed contemporary classical chamber pieces for Counterpointe, the ballet company led for several years by his wife, dancer/choreographer Sarah Clagett-Marcus. Now that Marcus is back in the New York area, he's been working gigs at Small's and the 55 Bar in Manhattan and hitting the jam sessions. But he's confident that mmq's momentum, and his special musical relationship with Sylvain Carton, will continue unabated, and that both will be supported and advanced by the release of Countdown 2 Meltdown.